Vision is like the eye of the eagle. An eagle sees farther than any other animal. In the same way, vision allows you to look into the future and see a life filled with meaning and purpose. Vision is like a magnifying glass. A magnifying glass brings objects into clearer focus. Vision from God allows you to see your life with better clarity. Vision is like the banks of a river. The banks of the river provide direction for the flow of the water. Vision provides direction and keeps you moving in the way God wants you to go. This verse means without a vision for the future, you will not have a clear purpose in life. 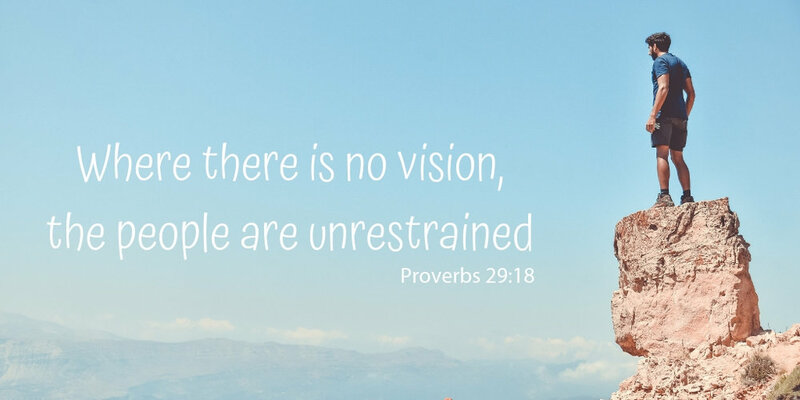 How do you need vision in your life today?